What’s next for Homeland? According to Entertainment Weekly, season six of the Showtime series won’t premiere until next year. The political thriller stars Claire Danes as Carrie Mathison, a former CIA agent who is also bipolar. Mandy Patinkin, Rupert Friend, F. Murray Abraham, and Sarah Sokolovic also star. Per a Showtime press release, the sixth season of Homeland will find Carrie living in Brooklyn, “working at a foundation whose efforts are to provide aid to Muslims living in the United States.” Apparently, the whole season will occur between election day and the inauguration of a new U.S. president. Filming for season six is slated to begin this August, with a premiere expected in January 2017. What do you think? Are you a fan of Homeland? What do you hope happens in season six? 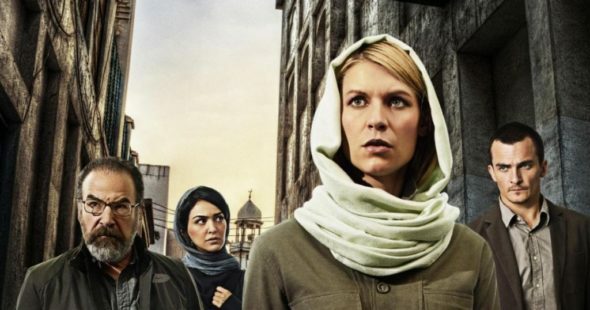 More about: Homeland, Homeland: canceled or renewed?, Showtime TV shows: canceled or renewed? Bummed that the upcoming season of Homeland is getting pushed until January 2017 and I hope that the series should end after eight seasons.